In 1946, Victor Chandler Senior founded the sportsbook company in his own name in the United Kingdom. It has since been moved to Gibraltar in order to save their UK clients from paying the 9% UK betting tax. The company Victor Chandler International Ltd. now operates under the name BetVictor and accepts Indian players. BetVictor football betting markets are extremely wide ranging. You may wager on the smallest aspects and achievements in each match by players or teams beyond the typical 1x2 match results. Cricket also has comprehensive coverage with many team and prop bets available for each match. Is BetVictor Trustworthy? BetVictor is based in Gibraltar and is licensed by that country’s Gambling Commissioner. They were once completely located and run from the United Kingdom, however, Gibraltar is a hub for sportsbook and gaming companies due to their location to the south of the Iberian Peninsula and their favourable tax laws. 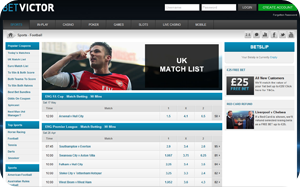 This saves UK bettors and the company itself from having to pay local UK taxes. Despite being offshore, BetVictor is registered with the IBAS, which is the independent body that handles bettor disputes. BetVictor Support: BetVictor customer service team is available 24/7/365 so you can always talk, email or chat online to a real person based in Europe. Is my information secure? BetVictor recognizes that online security is an area of vital importance to all its customers and no stone is left unturned to make your betting experience as safe and secure as possible. Their Internet service operates a raft of security measures including fully encrypted data transfer and multiple redundant servers to ensure that all customer funds and personal details are stringently protected. Every payment card that is submitted to them is subjected to a series of comprehensive online checks with their bankers to confirm its validity. 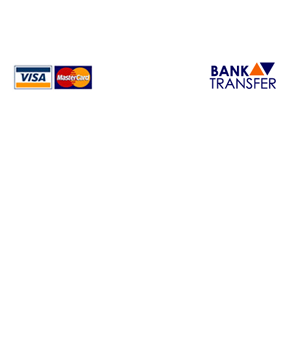 Withdrawal Information: Wire: 3-10 banking days. Credit/Debit Cards: 3-6 banking days. BACS: 3-5 banking days. E-wallets (Skrill, Neteller): 1-3 banking days. Documentation may be requested at any tiime to ensure the security of their customer accounts.